Lunar New Year isn’t quite complete without the right drinks to serve your visitors. Be sure to celebrate in style whether it’s with wine, beer or whisky. Ready to celebrate the Chinese New Year? The season starts 4 February, with the traditional gathering of the family for a reunion dinner and lasts for the next 15 days after. Those celebrating will visit family, friends and colleagues as they wish joy and prosperity for the year ahead. But what’s a gathering without some proper alcoholic libations? Here’s our roundup to help with your stocking up the drinks cabinet. 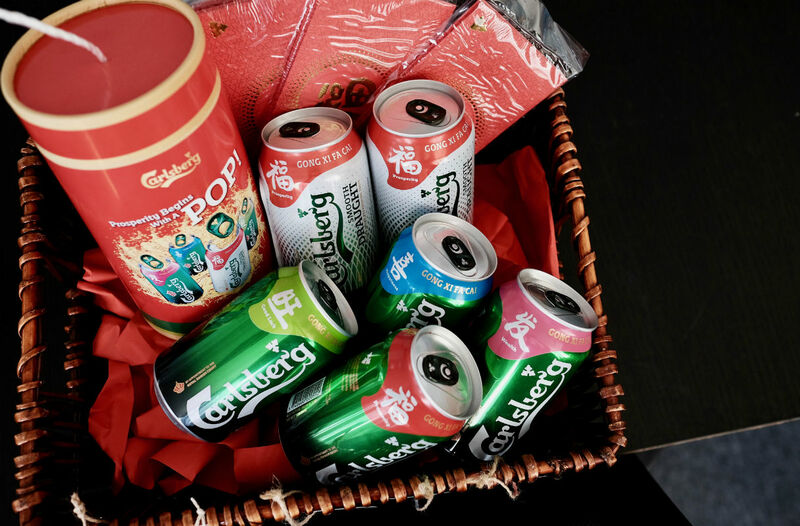 Carlsberg wishes you “Prosperity Begins With A Pop” During Chinese New Year. Beer brand Carlsberg‘s theme for this year is “Prosperity Begins With A Pop”(鸿运当头, 一POP万赢). And for that it’s offering consumers a number of different ways to celebrate the season. There are limited edition cans for the season, emblazoned with well wishes such as Wealth (发), Good Luck (旺), Happiness (喜) and Prosperity (福). They come in different packaging options too. These range from a regular 24-can pack and an 18-can prosperity pack to a 10-can Carlsberg Smooth Draught pack (with 2 free cans with every 10-can pack purchased). There are free gifts – customers can buy two 24-can pack of Carlsberg Green Label and get a Carlsberg trolley bag for free. The Glenrothes Soleo Collection – Another way to bring oranges when visiting family and friends. Speyside whisky brand The Glenrothes recently unveiled their Soleo Collection, its new core range. 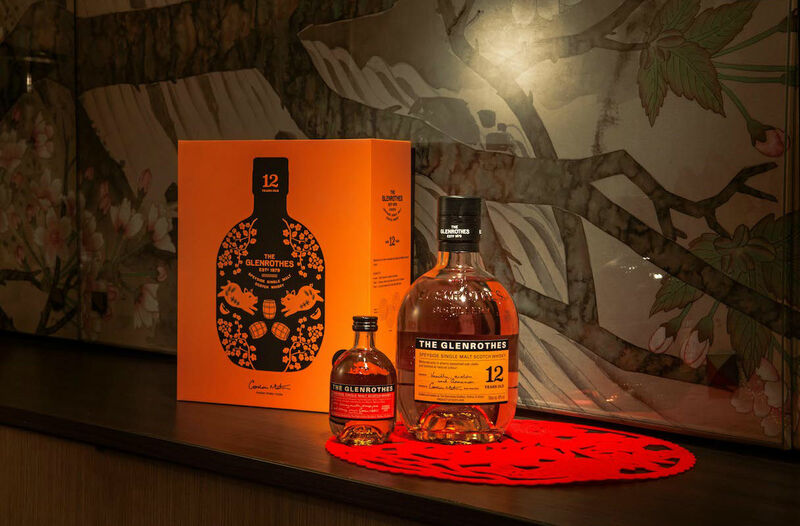 This Lunar New Year it has put together a gift pack that bundles a full bottle (700ml) of The Glenrothes 12 Years Old and a miniature (100ml) of The Glenrothes Whisky Maker’s Cut. Both, of course, come from the Soleo Collection. The design of the pack is adorned with flowers representing blooming luck and success, and ingots signifying prosperity and good wealth. This gift pack is available at 3 Kraters, Oaks Cellars, 1855 The Bottle Shop, Simply Whisky, Olde Cuban, at a recommended retail price from S$98. Nothing Boar-ing about this Brunello di Montalcino Riserva. 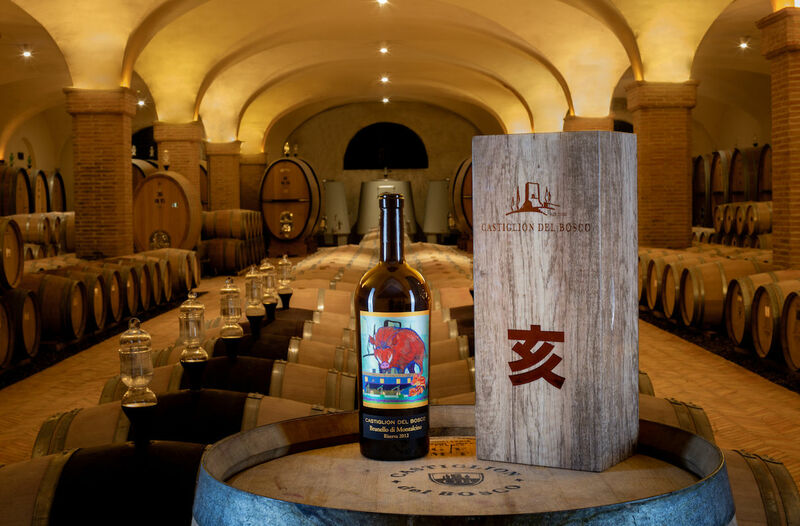 Castiglion del Bosco have in the past five years put out some highly rated vintages commemorating the Chinese Zodiac. Last year it unveiled one for the Year of the Dog. This year the Tuscany, Italy-based wine brand has launched another limited edition wine – the Brunello di Montalcino Riserva 2012 Zodiac Boar, an extraordinary and collectible expression celebrating the Year of the Pig. This year’s bottle comes with a label designed by Hong Kong artist Tse Yim On (謝炎安), one of the more controversial artists in his hometown. Only 688 magnums and 15 bottles of 5 litres of the Brunello di Montalcino Riserva 2012 Zodiac Boar will be released. It retails at S$1,750 for 1.5L and S$10,800 for 5L. Readers can email cdbzodiac@castigliondelbosco.com to place their orders. 10% of the proceeds of each bottle will be donated to a charity in Asia. Lunar New Year snack pairings this Father would be proud of. 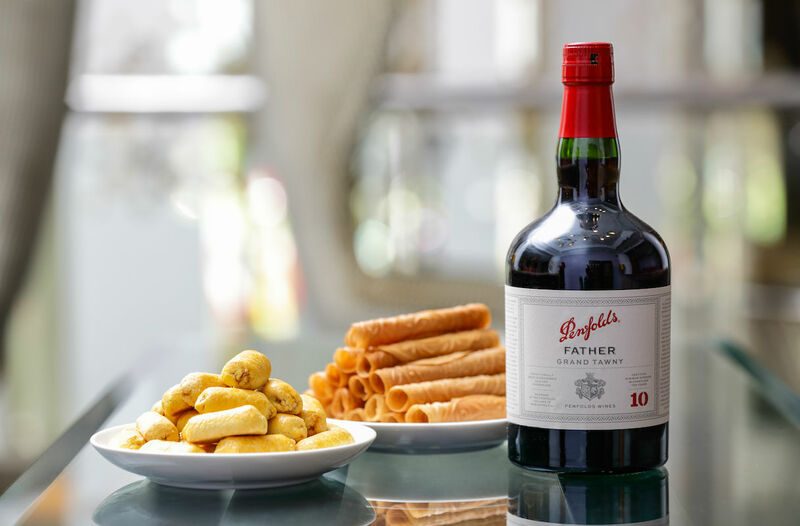 The Penfolds Father Grand Tawny Port may just be the thing to surprise visitors with this Chinese New Year. Made from a blend of Mourvedre, Shiraz, Grenache and Cabernet Sauvignon, this fortified wine from famous Australian producer bursts with notes of raisin fruits, fruitcake, liquorice and roasted walnuts on the nose. Its finish is fruitcake and vanilla oak flavours on the palate, with a long lingering finish. What’s really interesting is that the fortified wine actually works well with Lunar New Year snacks. Try it with pineapple tarts; the pairing brings out the sweetness of the pineapple filling. Alternatively have it with love letters – the coconut in the love letters bring out the wine’s toffee notes. The Penfolds Father Grand Tawny Port is a travel retail exclusive at DFS and priced at $100 per bottle. Because Bordeaux and bak kwa is a thing. Speaking of wine pairings, you can’t get more festive than pairing wine with the classic CNY treat of bak kwa. 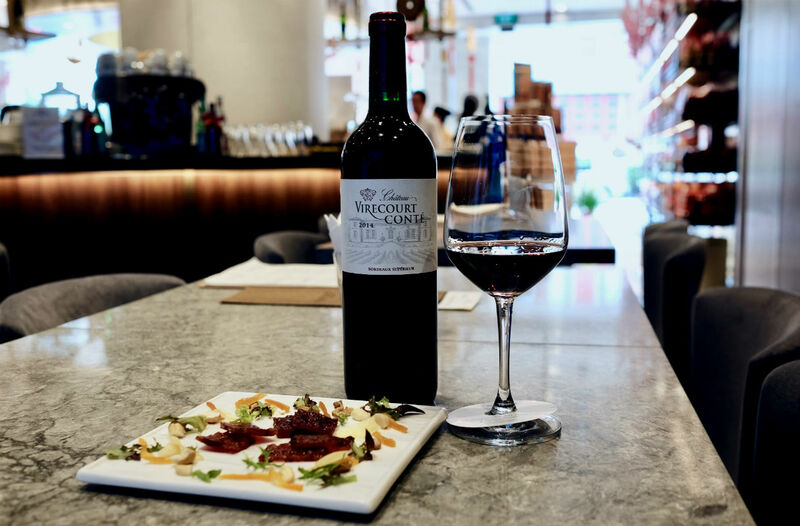 You can do so at Bee Cheng Hiang – the Bee Cheng Hiang Grillery at its flagship Serangoon Road outlet actually has a modest wine cellar. The wine cellar here stocks a range of French wines – mostly from Bordeaux – some of which are exclusively available. In fact you can try a bak kwa pairing menu here before deciding on which to buy home to impress relatives. There’s the Chateau Virecourt-Conte 2014 Bordeaux Superieur that works very well with its Gourmet Fusion Bakkwa, for example. Prices are reasonable too; the Chateau Virecourt-Conte 2014 Bordeaux Superieur clocks in at S$70.